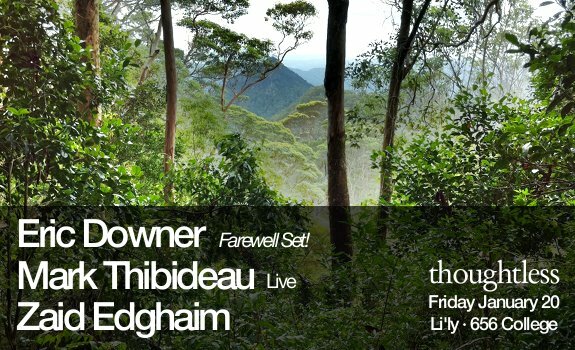 Come join me and friends on Friday January 20th as we say farewell to our good friend Eric Downer. He is moving down under so it will be one more chance to see him here in Canada before he goes. I will also be playing a special live set at midnight for this event. its at Li’ly – 656 College Street, Toronto.